President-Elect Barack Obama is inheriting the suckiest worst economic situation the US has had since the great depression. His term officially starts in January but he is now busy appointing people to head up his teams that will give him advice and basically formulate policies on everything during his administration. Of course the economy is on top of the list. President-elect Barack Obama on Wednesday announced the formation of an Economic Recovery Advisory Board. The newly established economic advisory board will be expected to regularly brief Obama, Vice President-elect Joe Biden, and their economic team with independent, nonpartisan information and analysis that will help the administration formulate a plan for economic recovery. The board will be headed by former Federal Reserve Chairman Paul Volcker. 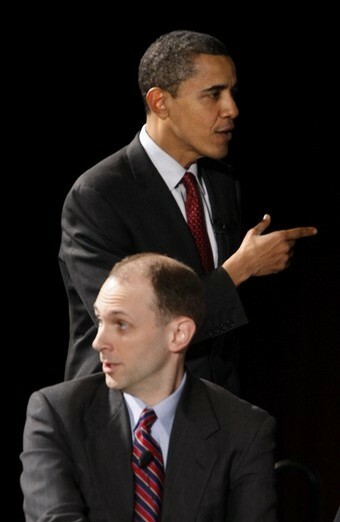 Obama said that the rest of the members of the Economic Recovery Advisory Board will be announced in the coming weeks. He said his administration will seek out economic advice from "innovative thinkers who may not always subscribe to conventional wisdom," whether they come from the high tech or manufacturing sectors.